Hello again! It's time for a reminder of my (least) favourite thing and an update to it as well. Yes, that's right. I'm here today to remind everyone to clear your cache! You may use our handy-dandy Cache Guide for how-to instructions for the most popular browsers if needed. 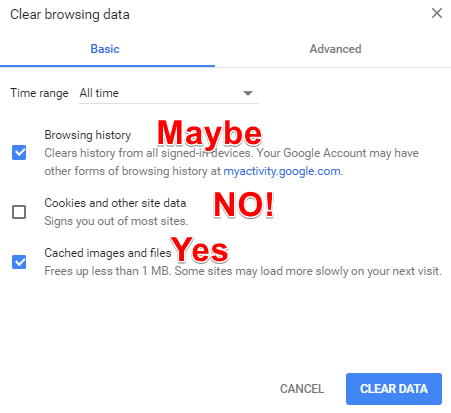 This guide shows you how to clear your cache and what needs to be cleared on each browser. You absolutely need to tick "Cached Images and Files". You may want to tick "Browsing History". You do not want to tick "Cookies and other site data". A stuffed cache is the single most common cause of the bug reports I read. This also causes more problems than I can count. What kind of problems? Glad you asked! The quest didn’t give me the item! I can’t move right! (invisible walls, char goes where I didn’t click) The game menu won’t load! Maps are taking a long time to load! "Map files loading ... failed!" issues. Loading to a black screen. Now for the update part! Ever since Flash version 22 and Chrome browser dropping default support for Flash, Chrome has had a progressively more difficult time dealing with Flash and thus the game. A lot of the issues Chrome experiences can be reduced by keeping your cache clear, but it may get annoying enough that you might want to consider playing on a different browser. Since different browsers and their versions interact different with your OS, we really can't recommend which one to try.